My favourite image from this engagement photography session is this one captured at the magnificent Linacre Reservoirs near Chesterfield. In this image I used the spillway as a frame for the couple which I think adds and interesting element to the image. 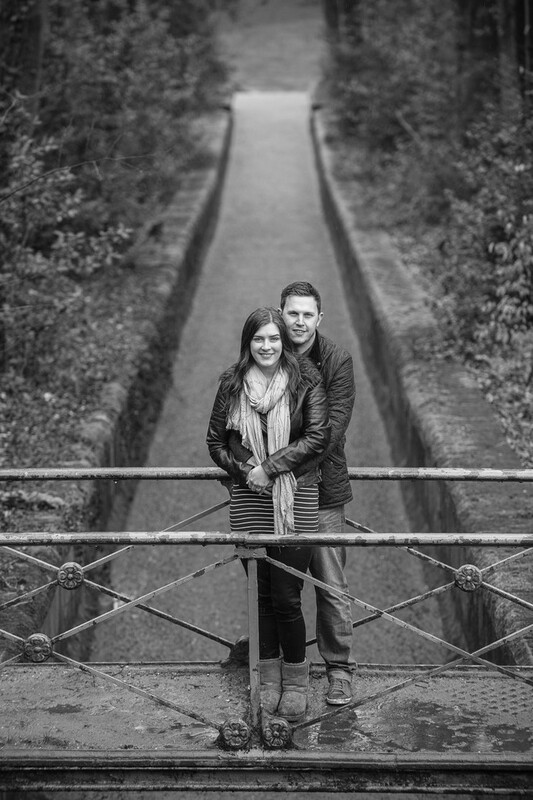 We had never visited Linacre Reservoirs before this engagement shoot, what a wonderful place we had missed out on! There are a series of three reservoirs which form a wonderful walk. Part of the walk is wooded, all with a magnificent view of the reservoirs, stunning location, one we have visited again since this photo session and one we hope to visit again in the coming years. 1/320; f/3.5; ISO 500; 150.0 mm.